This is a stack of unsent letters. And this is (not) for you. 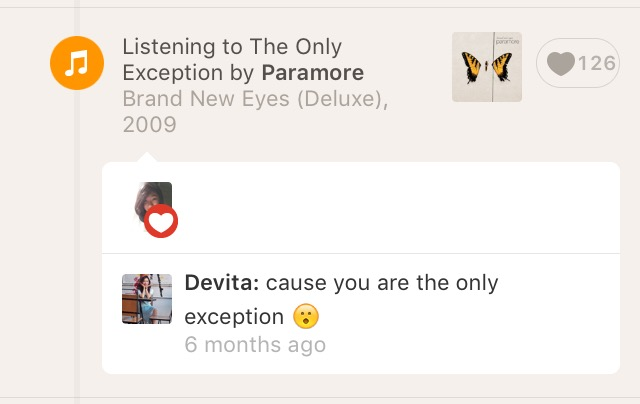 "You Are The Only Exception"
I used to never stalk stranger. But it turns out I stalk you before you say hello. I used to be so confident when it comes to making new friends. But I just lose it after I know that it's you. I used to think that I don't have any spesific requirements for partner in life. But then you came, making me realize that the requirements exists and you're the one that I'm actually longing for. I used to dislike a chat introduction. But you;'re the only exception. Yes, you are my only exception. You came and made every little things becomes way more better. I do really hope it becomes forever. Yet, I don't want to rush it, because I know our own story is more than good. It's beyond better and it's worth the wait, even a long one. I hope you continue doing that, yes, to come to my dream. See you later, tonight. "The Fire is Gone, Already"
Sad, but that's okay. Every relationship is never such a waste. If it doesn't give you what you want, it taught you what you don't want. That's the quote I got for today. And I think that totally makes sense. Everything happened for (at least) a reason, and I believe that it's happening for a very good reason. "Never look back! If Cinderella went back to pick up her shoe, she wouldn't have become a princess." I'm in need to remind myself that for thousand times. It's so regretful everytime I look back to the very first introduction of ours. There are just too many what ifs in my mind. It's so funny that everything changes so easily. The first time you came into my dream is like the most beautiful dream I've ever dreamt. Yet now, two nights in a row, I have you in my dream. It becomes the scariest dream(s) ever. I do need to get you out of my mind, or even my life. Yes, people come and go. My brain keeps telling me that I need to get you out of my mind. But the heart won't listen. Also why do you keep coming to my dream? It feels so vivid and so real. You held my hand and smiled very happily. Yes, I was missing you. The brain asks me, no it's begging me, not to talk to you. And once again, the heart won't listen. But yeah, no regret. 'Cause anyway, I need to make sure if it's the real end, or perhaps (hopefully) it's just a misunderstanding. After struggling to try one more time, I think it's the real end. I thought there's just a misunderstanding between us, so that we got lost contact. That's why I took the courage to talk to you first. But then as time goes by I surely know that it's definitely not a misunderstanding. It's just me that too confident to think that you have interest in me as much as I have for you. It's okay. It's really okay. I'm just disappointed at myself that I fall into that same hole over and over again.